Rum has been getting some well-deserved attention as the focus of newer cocktail bars around country, from La Caña Rum Bar in Los Angeles to The Rum House in New York City. The resurgence of tiki culture has certainly helped. Tropical drinks like the Mai Tai and the Zombie are getting the serious mixology treatment, and the classic (non-frozen) daiquiri, mixing white rum, lime juice and sugar, is making a comeback. 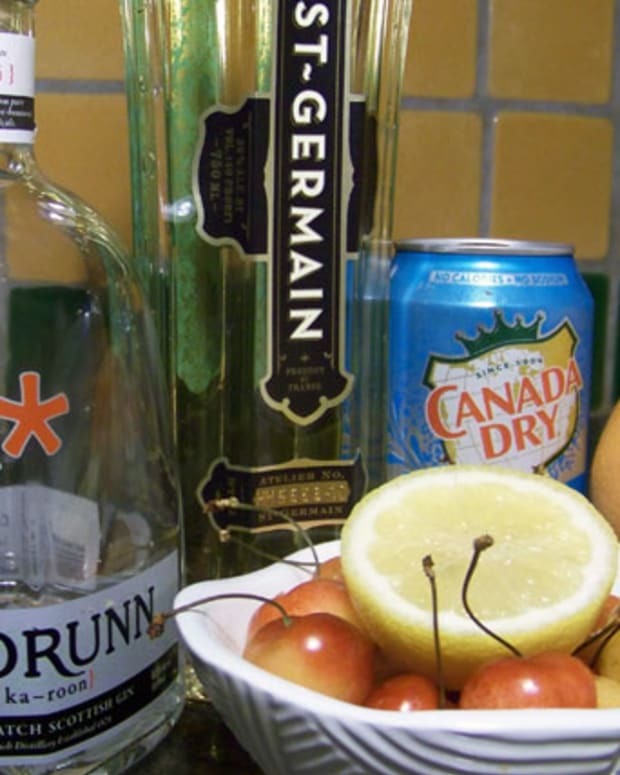 Kenneth McCoy, co-owner of The Rum House, embraces the spirit’s traditional roles and wants to educate people on the variety of rums available. “Most people think of Bacardi because it’s been pushed down everybody’s throat,” he says. 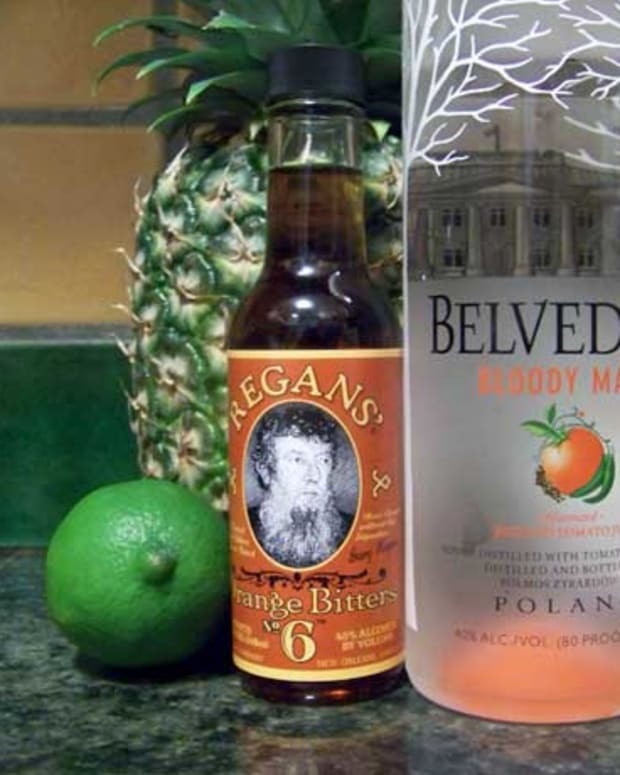 “My favorite rums tend to be a little darker and a little sweeter. They’re more along the lines of whiskey.” The bar currently carries between 50 and 75 labels, and McCoy continuously tastes different rums to add to the list. The menu features a rum cocktail section with popular drinks like the Mojito, the Dark & Stormy and an Old Fashioned made with Banks white rum. One standout is the bar’s signature Tortuga, which mixes aged rum, fresh muddled ginger, and orange, lime and lemon juices, topped with grated cinnamon. 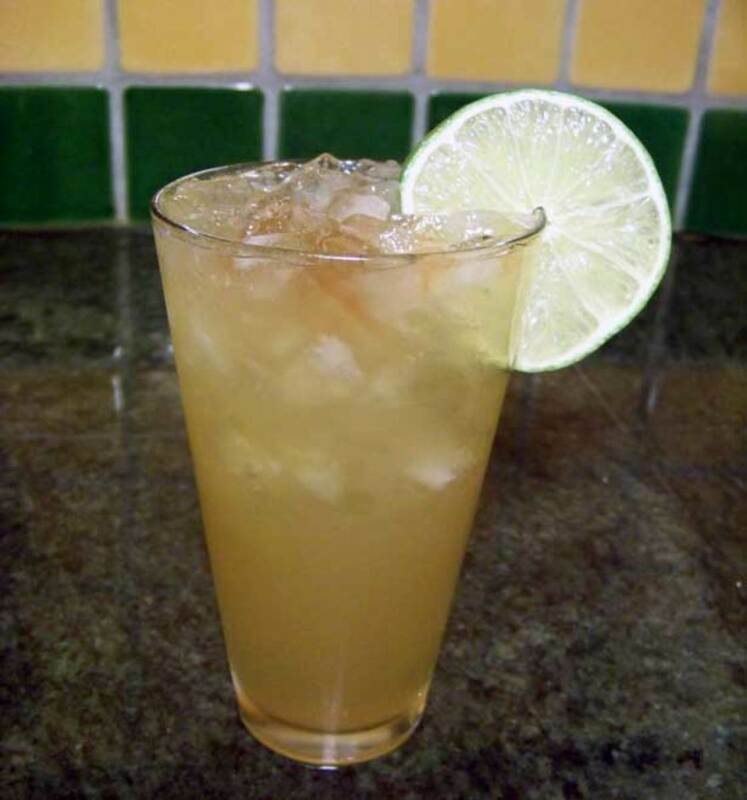 The Dark & Stormy, a simple mix of dark rum and ginger beer, is one of my favorite cocktails, so I created a spruced-up version with some fresh lime juice, honey and, of course, Angostura bitters. To give the drink a tiki flair, I crushed the ice by placing cubes in a towel, folding it up and smashing the ice with a meat tenderizer. I used Brugal 1888—which is aged five to fourteen years in white oak and then matured a second time in Sherry casks—because that’s what I had on hand, but any dark or añejo rum works. I would stay away from “gold” rums, which are usually colored, not aged. And a good ginger beer is non-negotiable; a generic ginger ale just doesn’t cut it. This drink is exactly what you want to be when sidling up to someone at the bar: cool and smooth, with a little zing. 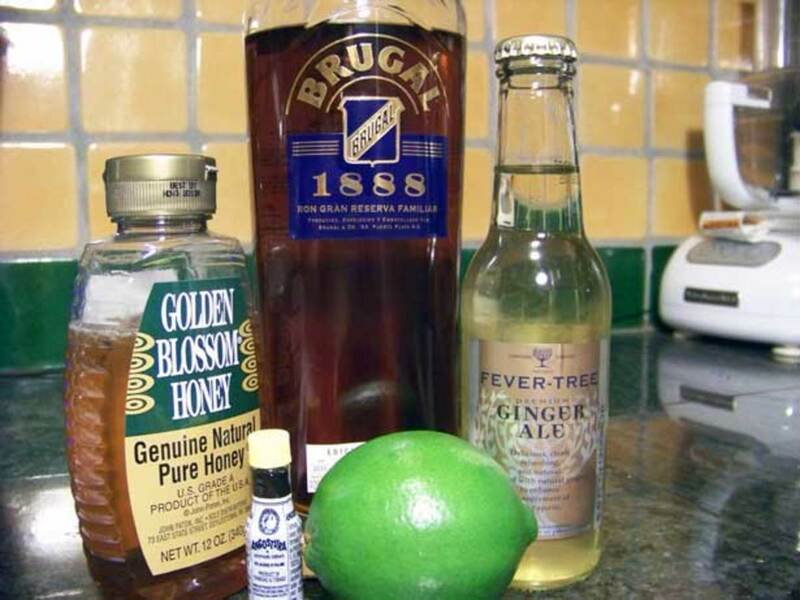 Shake the rum, lime juice and honey in a shaker, then pour over crushed ice in a high ball glass. Top with the ginger beer and bitters. 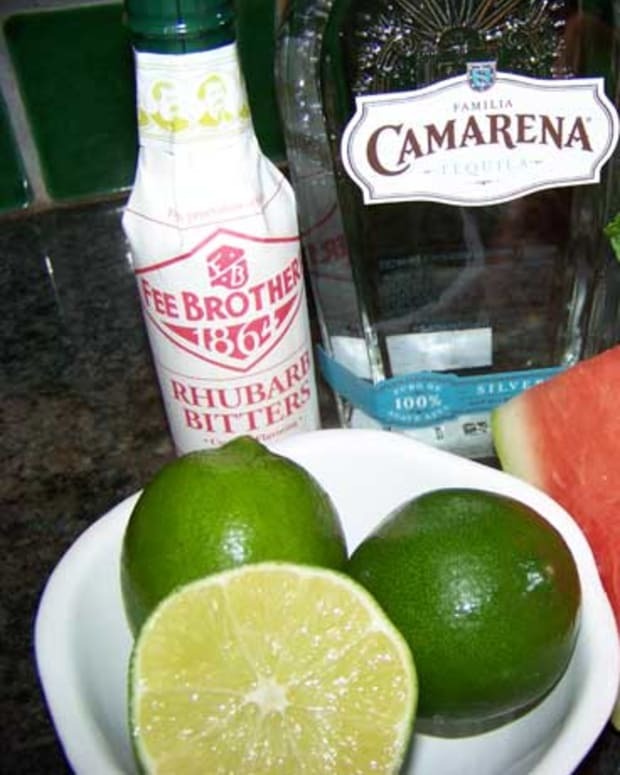 Garnish with the lime wheel.